Not all foods are created equal, and some are better than others when it comes to your oral health. In general, processed foods are bad because they contain sugars that produce acid in the mouth when eating regularly. The best choice always is fresh fruits and vegetables. Especially the crunchy kind. Your mother probably insisted on serving you a plate of vegetables with your meals, and she was right. Vegetables not only provide excellent nutrition, but they contain vitamins and minerals that are essential for a healthy body and mouth. 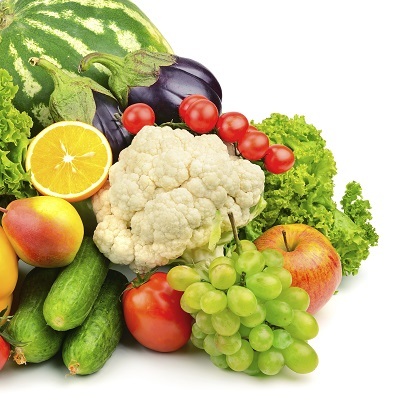 Why is Chewing Vegetables Good for Oral Health? • Carrots - they have lots of vitamin A which is good for your eyes and for healthy enamel. • Cucumbers - contain antioxidants that can help patients that have gum disease. • Garlic - peeling a garlic clove and placing it over an aching tooth can bring you relief until we can see you. • Raw onion - some studies found that raw onion has excellent antibacterial properties and is also useful for getting rid of some strains of bacteria that cause plaque. • Celery - because it has strings, celery is very good at cleaning teeth naturally, which works well when you don't have access to a toothbrush after a meal. Another excellent chewy food you can eat for healthy teeth is apples. Because you must do a lot of chewing and biting down when eating an apple, you are stimulating your salivary glands and producing beneficial saliva that will keep your mouth healthy. Please let us know if you have any questions about how your teeth can be healthier if you eat certain foods.